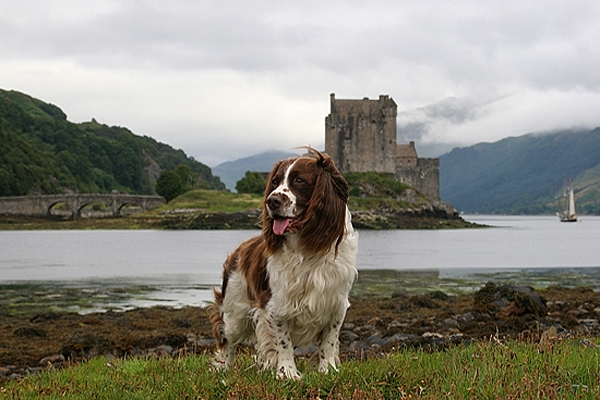 Home | Springers | Beckham at Eilean Donan Castle. Beckham at Eilean Donan Castle. Posing for pictures on our way to Skye. Canon 20D, 55mm lens,1/100 f9.